Have a home you would like to spruce up? 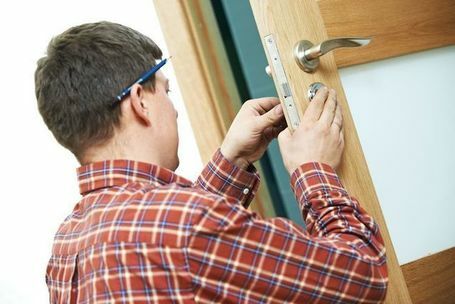 Mississauga handyman services leave you with these, tips hiring quality handyman service article. Thinking about putting new trim and doors it? New doors and trim will totally live up your old home. Especially if the old home is a 40 or more-year-old design. Most of these homes have smooth door casings and flat slab doors with no recessed panelling giving it that extra touch. Most baseboards are flat also with just a little bullnose at the top again quite boring. Mississaugahandyman carpentry can replace interior trim for you and bring your home into current interior decorating designs. Not only are you replacing for the aesthetics but also increasingly value of the property. Mississauga handyman carpentry can do great work for you on your home renovation. And it might not be as much as you think we are cost less than general contractors, especially on small jobs. We specialize in repairs and renovations such as repair and maintenance on everything from repairing or building drywall partitions or just simply repairing drywall damage. We can tell you a little story on the house we got a job painting they chose us for our painting services with years of experience in Mississauga Brampton and Etobicoke the main floor. the owner of this house an older couple both died and left the house to their two children. The house was made in the early 60s and that they were never updated or renovated. But it was beautifully kept. Unfortunately, the styles have changed over the years and natural varnished woods are no longer favoured or liked. Also, the doors were flat with no accent panelling. The baseboards are also flat with no grooves and just a round radius at the top of the baseboard otherwise quite boring and in natural varnished wood. Mississauga handyman painting and carpentry were asked to just paint the ceilings and the walls thinking that would be enough. About halfway through the real estate agent suggested that they should paint the trim meaning the doors and wood trim, baseboards and windows. Again on further contemplating an inspection, they decided it would be better to replace the doors with new style six-panel colonial series doors with was a modern looking brushed stainless steel door handle set. This was a big difference between a flat mahogany door compared to a white panelled colonial series door with a handle as opposed to a doorknob (huge improvement).